Romiosyni or Romiosini is the Greek word describing the Greek speaking Christians of the Eastern Roman Empire*, which encompasses in its meaning the entire Hellenic/Roman Civilization going back to the time before Homer and forward to the Greek speaking Christian Roman Empire*. These are the people who excelled for over 1,000 years and managed to still retain their civilization by holding on to the Greek language and culture and the Orthodox Christian Faith, even as they languished for many centuries under Moslem slavery and oppression. Romiosyni is a way of life and thinking. 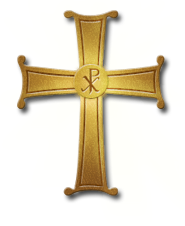 It has its roots in the Hellenic civilization, and at its heart the Orthodox Christian Faith. The Christians of the Eastern Roman Empire* called themselves “Romioi”. Even the non-Greek speakers of the East, the Christians of the Middle East, still call themselves “Roum” to this day, which is a form of “Romioi”. *The Greek speaking Eastern Roman Empire was renamed “Byzantine Empire” by western historians in the 19th century in a derogatory manner.